Next stop on the tour: Two shows at the Aragon Ballroom in Chicago. 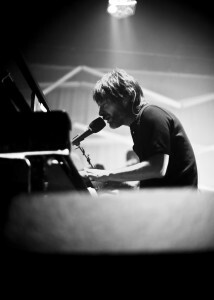 Friday night Atoms for Peace hit the Citi Wang Theatre in Boston, playing “The Present Tense” for the first time on the tour. It was dedicated to Jonny. Here’s a mid-week blast from the past for you: Radiohead performing “Inside My Head” from Chicago’s Cabaret Metro in 1993. Exactly 7 years ago yesterday, Radiohead performed at Grant Park in Chicago. 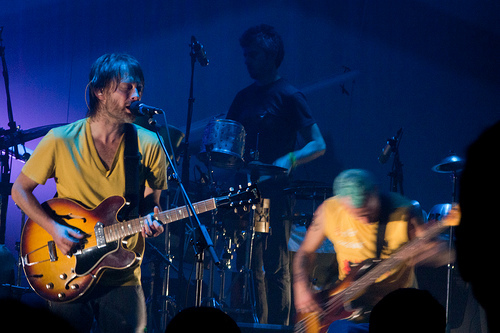 That concert set the stage for allowing other musical acts and festivals to have performances there, including last night’s Lollapalooza Festival that Radiohead headlined. The band played in front of 75,000 and did not disappoint. Coincidentally, fireworks went off during “Everything in its Right Place” which definitely added to the already amazing mood of the show. For the setlist and to submit your review, head on over to our gigography! a day off in chicago after playing lolloplozo yesterday. im so relieved as on monday i was on a train in the Uk coming back from the seaside sick as a dog and panicking. we hastily cancelled a proposed secret show in a chicago and i travelled a day later. it is very stressful when you get sick and there is nothing you can do and you have a huge show coming up. you feel low and powerless and try so hard to not freak out. in the end it worked out. i m amazed anybody could see anything as there was 75,000 people at the festival yesterday. and it was so hot. The band will be in Indianapolis tomorrow night. The Chicago Tribune is reporting that a pre-Lollapalooza warm up concert that Radiohead were going to stage Thursday at the Chicago Theatre has been scrapped. 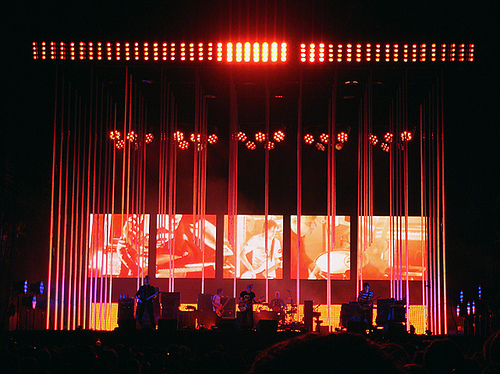 The show had been in the works for weeks and the band was to announce details for a ticket sale Tuesday on its Web site, radiohead.com/deadairspace, but decided against playing the extra show. Singer Thom Yorke had been ill earlier in the week and “wanted to take no chances” of suffering a setback, a band spokesman said. Some tickets remain for Radiohead’s performance Friday at Lollapalooza, but promoters have said the concert is close to selling out its 75,000 capacity. The band last played Grant Park in 2001, a concert that has been credited with helping re-open the door to major rock concerts on the historic lakefront property. How amazing would that show have been? 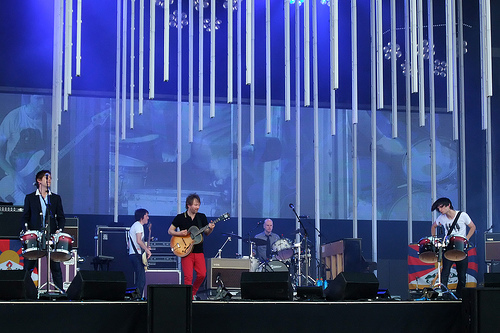 Radiohead wrapped up their 2008 European tour tonight in Berlin, Germany. From here, they’ll take a few weeks off before heading back to North America to begin the second leg of that tour. The first stop will be the Lollapalooza festival in Chicago on August 1.